Below you'll find Sketch 315. Create cards, scrapbook layouts, home decor, treat containers, mixed media, etc. using this week's sketch and be sure to link your project below for a chance at the weekly My Favorite Things Gift Voucher worth up to $20. The My Favorite Things Creative Team has been busy getting creative! Let's see what they have up their sleeves for Sketch 315! 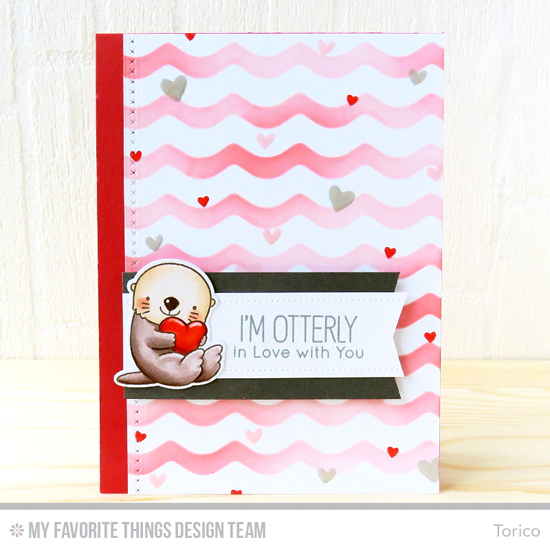 Torico's oh-so-cute design is a direct interpretation of Sketch 315. On the flag, she features one ADORABLE heart-hugging otter from the brand new Otterly Love You stamp set. The Waves stencil creates a really cool effect in the background. Nary a stamp was used on Julia's fresh and pretty card! The flag of the sketch was created with a component from our Blueprints 13 Die-namics, and she die cut the word hugs from it, leaving the negative so that the orange beneath it shows through. The Layered Leaves Die-namics add texture to her design. 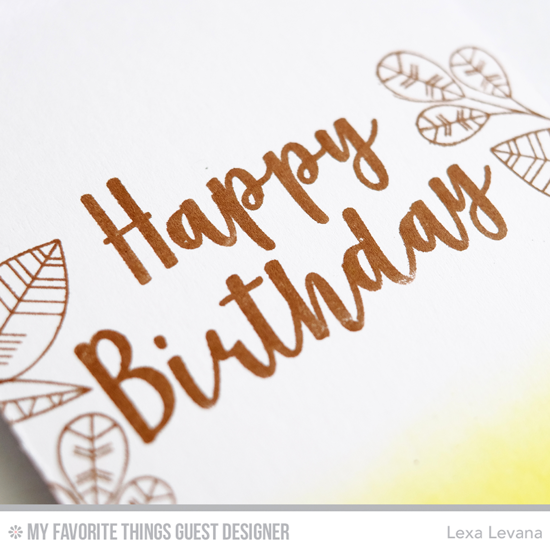 Join me in welcoming back Lexa Levana as our Guest Designer this month! 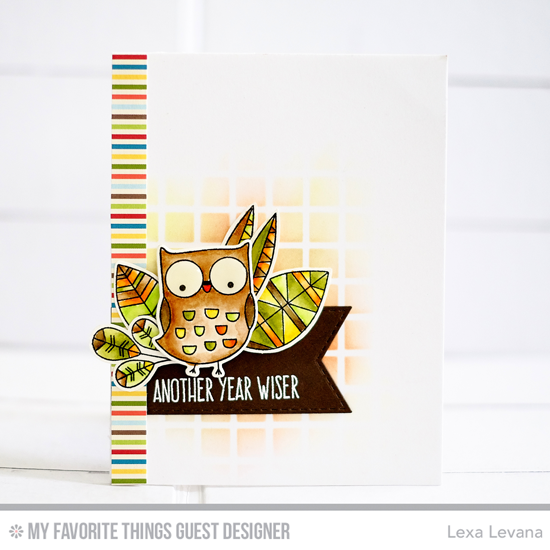 Lexa paired the brand new I'm Owl Yours stamp set with the Geometric Greenery stamp set for this fun design. 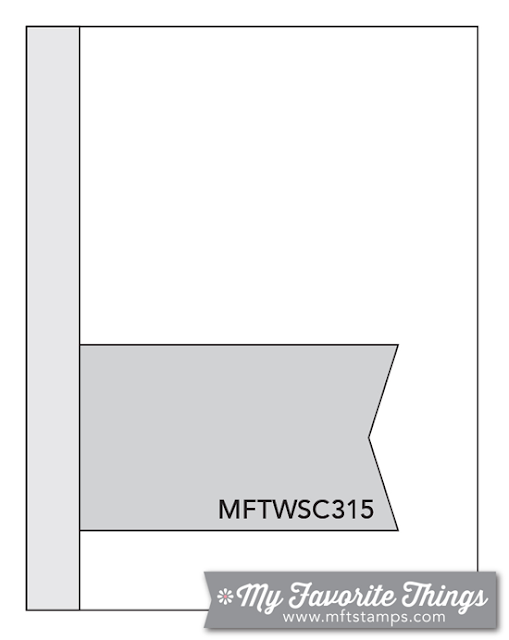 A strip of patterned paper echoes the line on the left in the sketch. She's added more to the inside by spelling Happy Birthday with our brand new Well-Connected Alphabet stamp set. So fun! 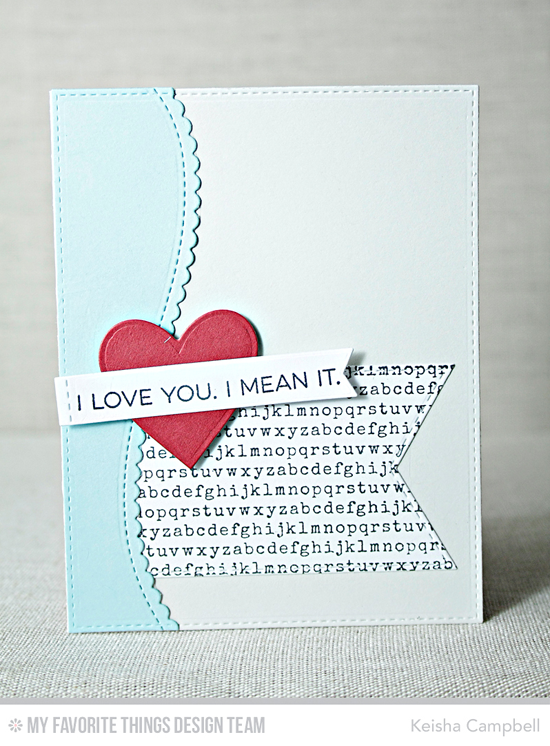 Keisha gives the straight line on the left a curve and scallop with the Stitched Scallop Basic Edges 2 Die-namics. The Typewriter Text Background stamp adds interest to her flag, and the red heart and sentiment finish off this lovely design. 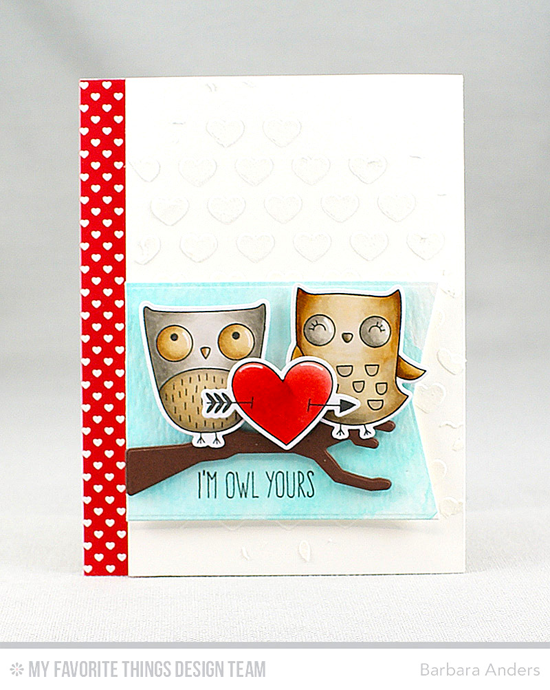 Two cute owls from the I'm Owl Yours stamp set perch atop a branch in this sweet Valentine card. Fun fact — the branch is from a Halloween set. AWESOME way to get double use out of a set you'd probably not grab this time of year. Simple and to the point, Donna's card features all of the components in Sketch 315. 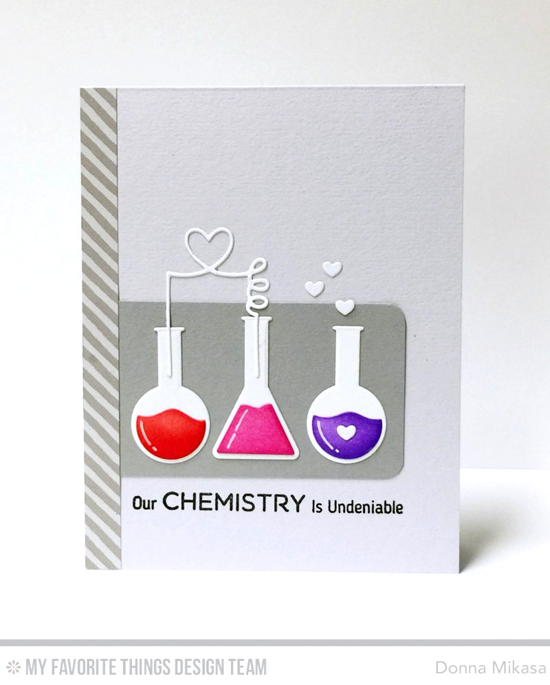 I love how she designed the card in grays which draws your eye right to the colorful beakers she created using the Chemistry Set Die-namics. 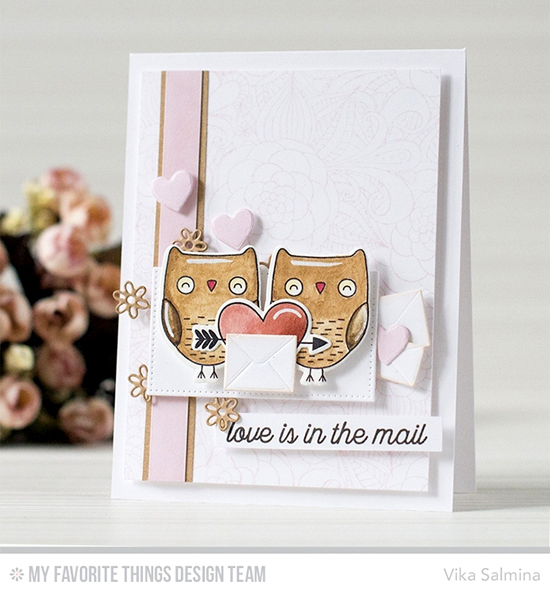 Identical twin owls have lots of love to send with envelopes from the brand new Mailbox Die-namics and the perfect sentiment from the Love Is in the Mail stamp set. You see those little tan flowers? They are actually snowflakes from the Stylish Snowflakes stamp set. Super clever! Congratulations, Linda Langes! You are the randomly selected winner of last week’s sketch challenge. You can view all the entries for last week’s challenge HERE. You have until Tuesday, January 17th, at noon EST to add your link and be eligible for the prize of up to $20 in MFT Cash to be spent in the MFT boutique. Winners are chosen at random, so everyone has a chance! The weekly prize is a $15 Gift Voucher to My Favorite Things, but if you use MFT stamps and/or dies in your project, you’ll receive an extra $5. So delighted to receive a Gift Card in my emails just now - thanks so much MFT. I'll have fun shopping no doubt! 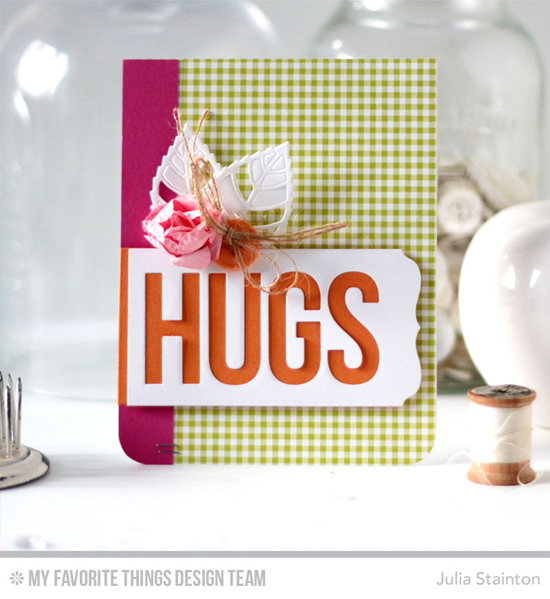 What a great sketch and gorgeous DT cards for this challenge!